To Leave – a platform game that deals with depression, self-harm, and the search for a deeper meaning – is arriving on Steam this Thursday after launching on PS4 earlier this year. Developed by Freaky Creations (a small studio based in Ecuador), To Leave’s unorthodox level design, animated cutscenes, and deeply emotional universe are fuelled by pain and driven by an inspiring, obsessive attention to detail. In To Leave, you inhabit Harm – a character who is suffering from manic depression. In possession of a magical flying door, Harm makes his way through expansive, vivid levels akin to an Ayahuasca trip in order to fulfil his Plan – a way to harvest the souls of his home world so that everyone can leave this world and enter Heaven. Experience a lyrical, awe-inspiring platform game that ignores genre boundaries. Savor a stunning, handcrafted world full of colour and danger. Immerse yourself in a gripping, emotional narrative that doesn’t hold back. 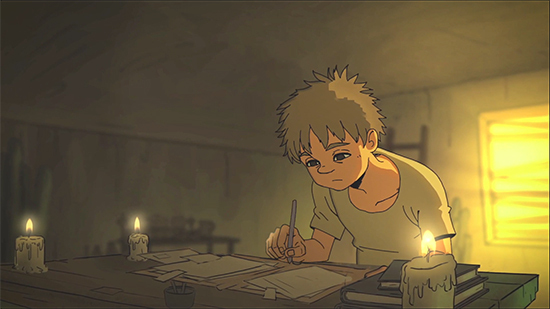 Enter Harm’s mind though detailed diaries that chronicle his journey of self-discovery. Enjoy an original soundtrack that reflects the beautiful yet dissonant nature of the game’s many worlds. Explore the depths – and peaks – of manic depression through a powerful mix of story and gameplay. To Leave will be available on Steam Thursday, October 4th for $7.99 – a 20% discount. The game will return to its original price of $9.99 on October 11th, a week after launch. 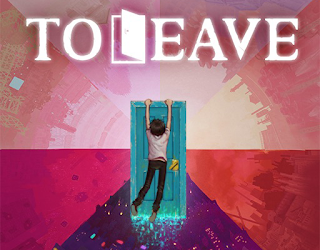 To Leave is also available on the PlayStation Store. The game supports both English and Spanish.